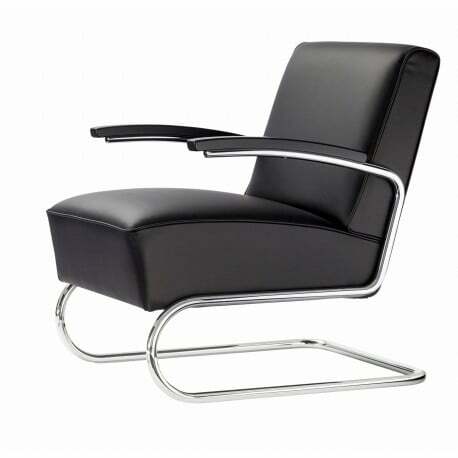 Buy Thonet S 411 Armchair by Thonet Design Team, 1932 - The biggest stock in Europe of Design furniture! The outstanding properties of this S 411 Armchair are elegance, timelessness and exceptional sitting comfort. Added is a lightness that only a cantilever model can have. While the first tubular steel chairs from the 1920s were rarely upholstered, the 1935 Thonet catalog presented an entire series of voluminously upholstered armchairs and sofas. 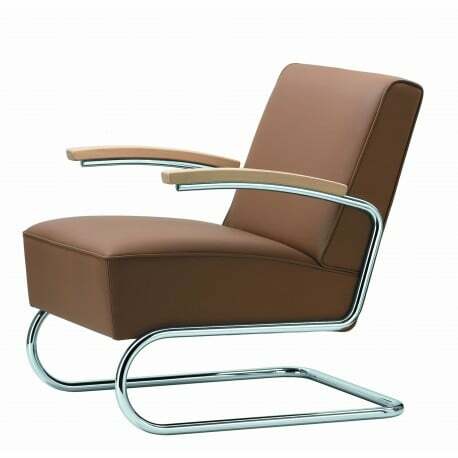 The in house Thonet design S 411 Armchair from the year 1932 probably marks the beginning of this new product series. Today, it is produced with high-quality upholstery. Also available with a higher backrest (model S 412). 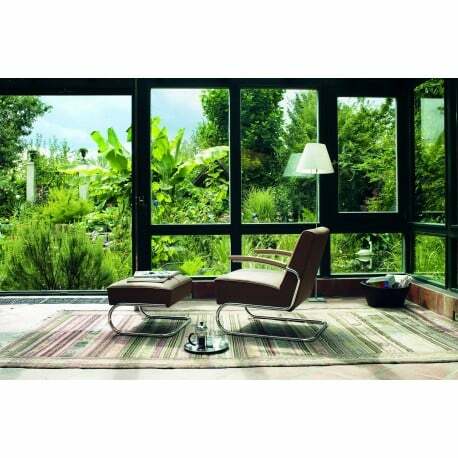 Frames of chrome-plated tubular steel, covers in cowhide or leather. Armrests in solid stained beech wood. A matching ottoman is also available at Designcollectors.